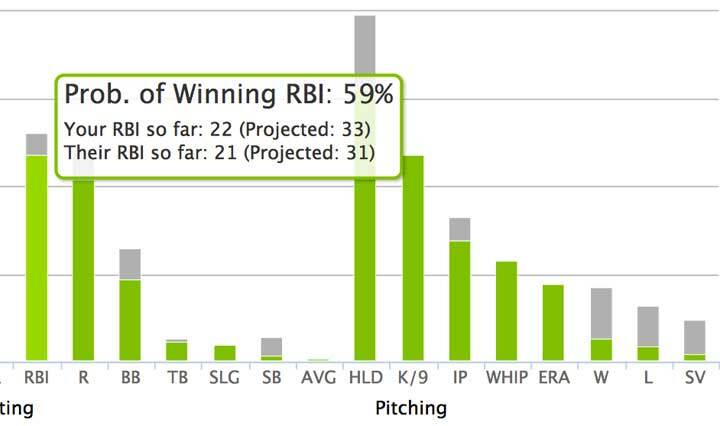 Custom fantasy baseball, football, basketball and hockey rankings, projections, trade evaluator, and season analysis. Easy to use player rankings and projections for baseball, football, basketball and hockey that leverage your league's categories. Choose your favorite splits to prepare for your draft, evaluate your team, or find the perfect free agent. All fantasy rankings are exportable to Excel so you can generate your own custom cheat sheet. Analyze or propose the perfect fantasy trade with Ziguana's Trade Evaluator -- the only fantasy trade evaluator that is custom to your categories and scoring settings. Analyze how each scoring category is impacted, how the player's involved have been performing and are projected to perform over the rest of the season, and ultimately whether you should accept or reject. 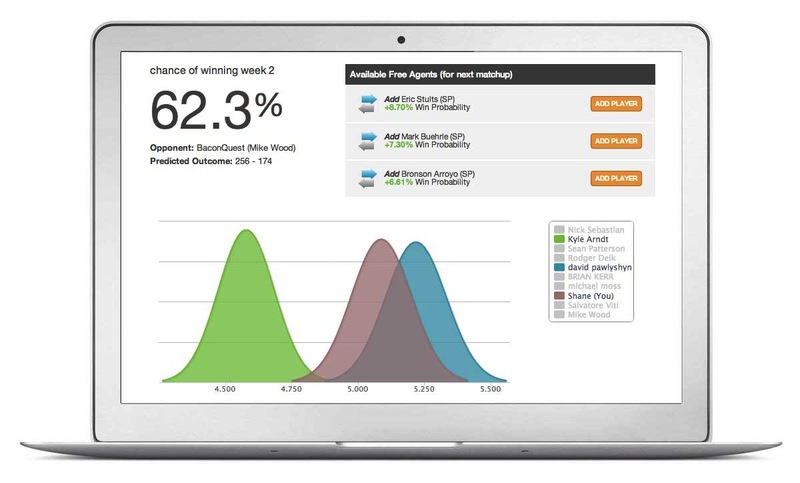 Projects your entire season and recommends players to improve your odds of winning. The Forecaster allows you to add recommended free agents within the app, see projected standings for your entire league, and focus in on each week and category. Of course, like all Ziguana tools, analysis is tailored to your league settings and scoring type. 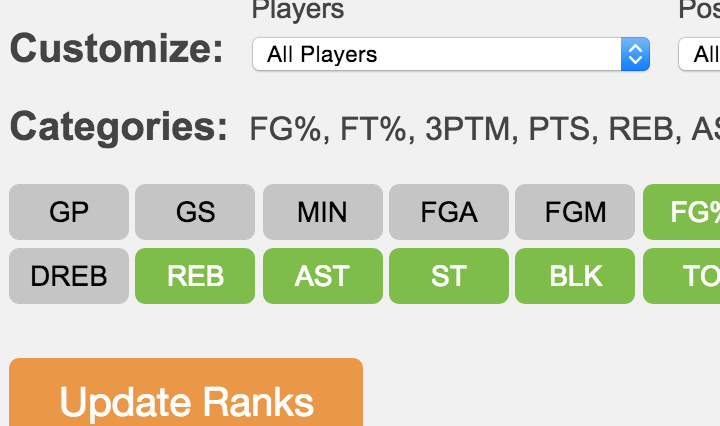 Takes the tedium out of roster management by setting your optimal fantasy lineup for you each day. Never lose a matchup again because you forgot to start someone! Handles injuries, probable pitchers for baseball, and bye weeks for football -- automatically. Getting started is fast and easy. 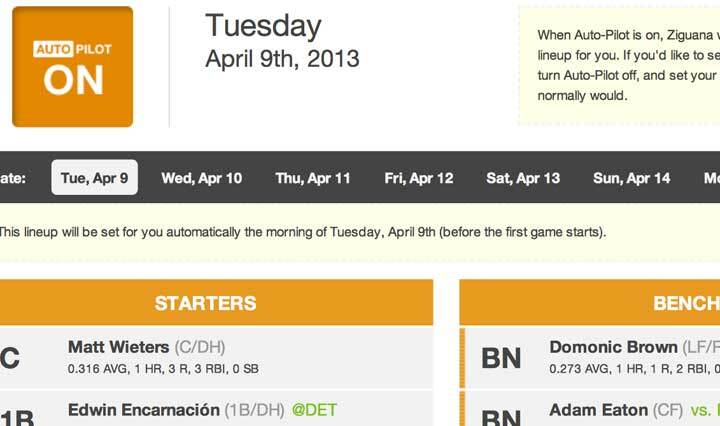 Simply sync your fantasy baseball, football, basketball or hockey leagues in a matter of minutes. 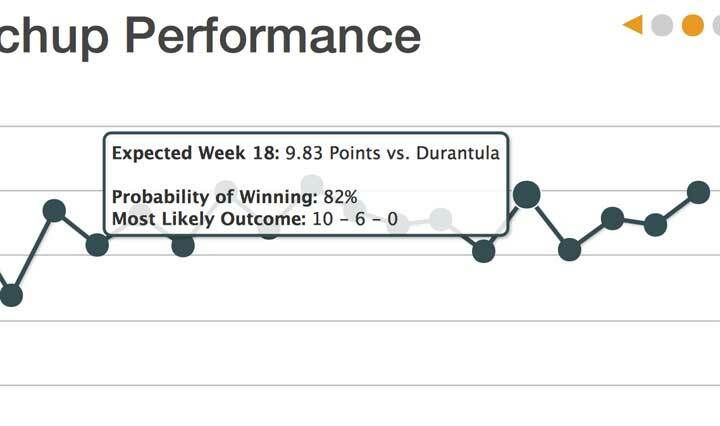 Ziguana is compatible with all scoring types (roto, head-to-head, fantasy points, etc.) 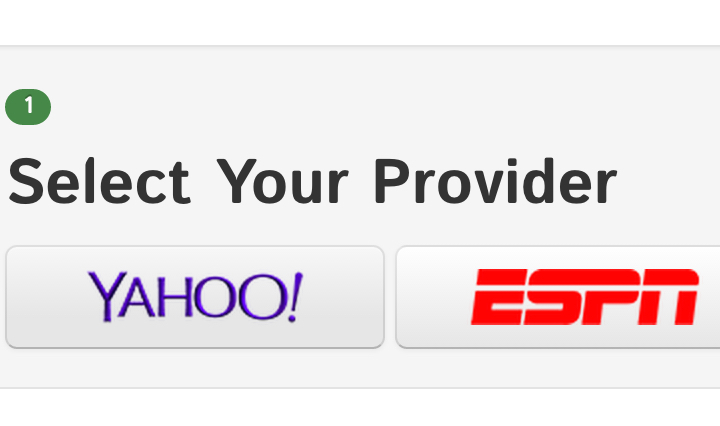 and works for both Yahoo Fantasy Sports and ESPN Fantasy. No matter your league type or sport, we give you in-depth analysis that updates daily. Each night your fantasy teams are re-synced so fantasy rankings, projections, free agent recommendations, and season analysis is always fresh.